The chance to show the world how much you excel in hospitality has arrived. Based entirely on guest reviews, trivago reveals the hotels that travellers all around the world consider to be the very best — the winners of the trivago Awards 2018. 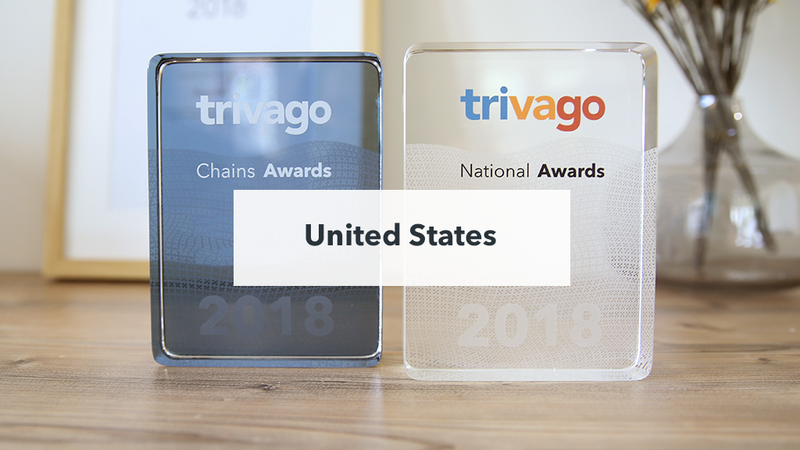 The trivago Awards give hoteliers the chance to receive recognition for their hard work and dedication to providing outstanding customer service, and to highlight and publicise this achievement to a world of travellers. We applaud all the winning hotels for offering top-notch, top-rated guest experiences. Read on and check out who the national winners in the US are. This year, the hotel with the best value for money in the US is Hotel California in Palm Springs, California. 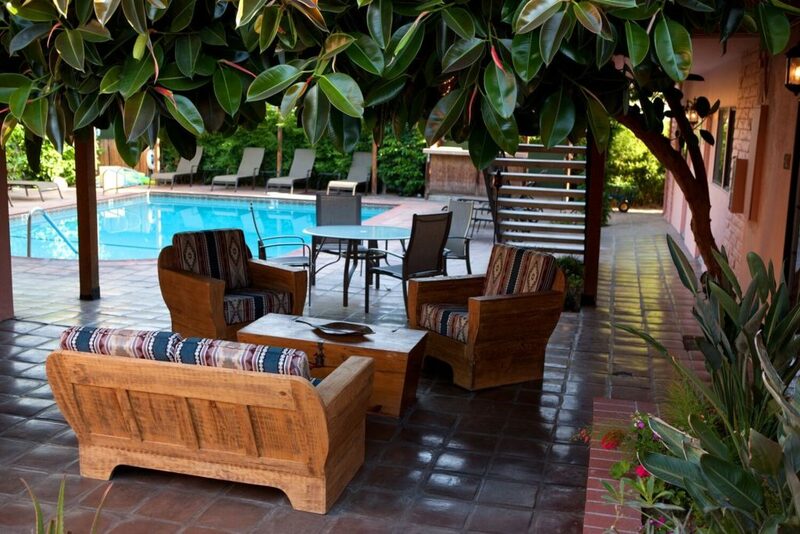 Nestled along the base of the San Jacinto Mountains and surrounded by lush desert, Hotel California is all about relaxing, putting your feet up and enjoying a vacation escape. This place is ideal for guests looking for a relaxing oasis without a care in the world. 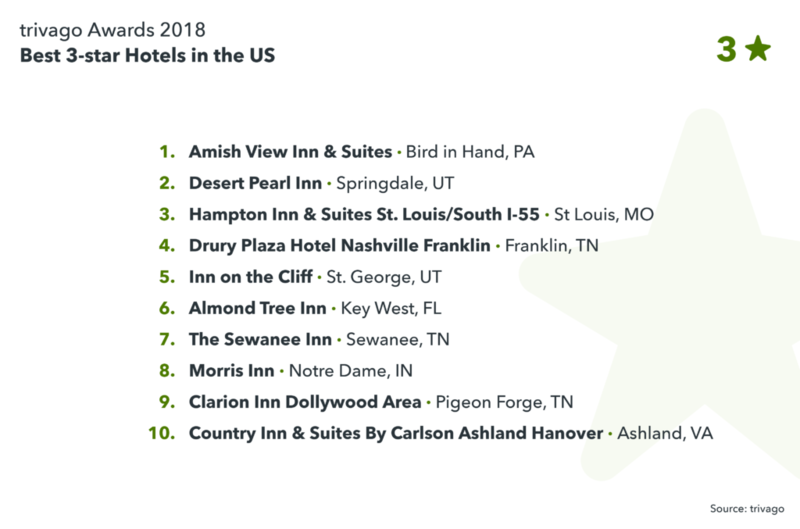 This year, the number one 3-star hotel in the US is Amish View Inn & Suites in Bird in Hand, Pennsylvania. 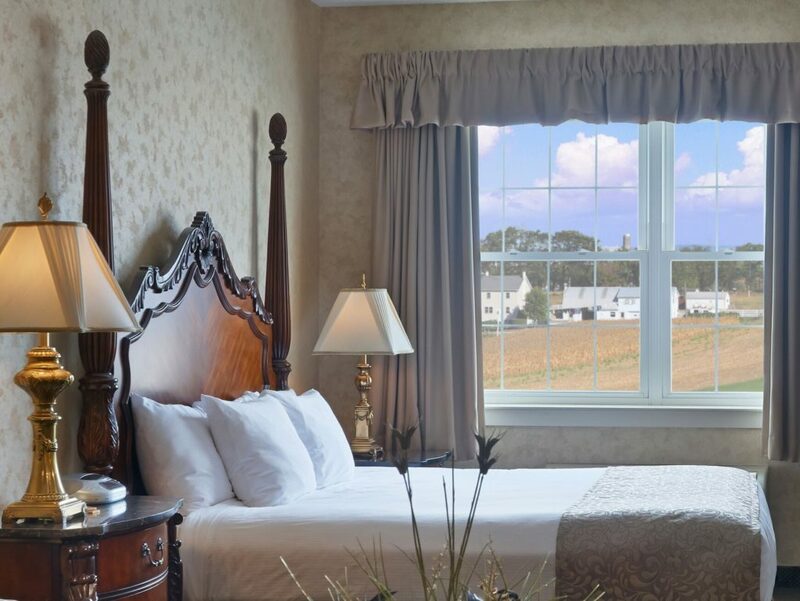 Situated in a spectacular rural setting, Amish View Inn & Suites has travellers extoling its attentive staff and excellent buffet-style breakfast. Not to forget, the farm tours and horse rides are just one mile away. Together with views from the cozy designed rooms, guests get a perfect taste of the Dutch Country farmland. 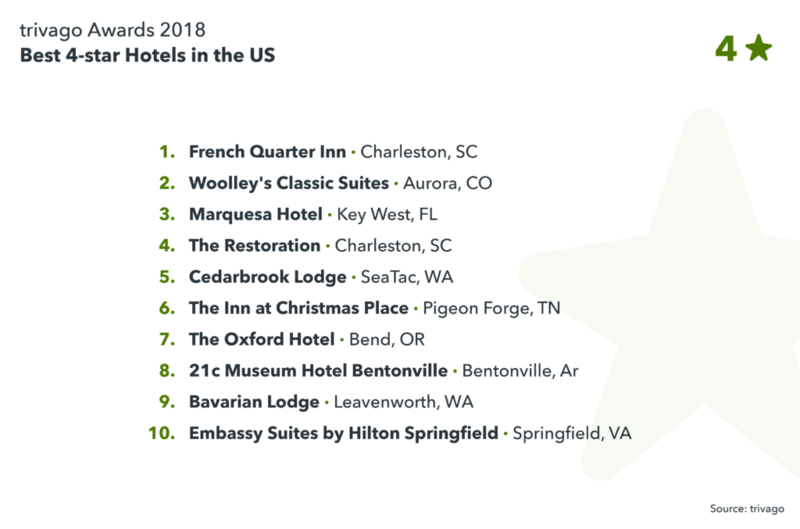 This year, the number one 4-star hotel in the US is French Quarter Inn in Charleston, South Carolina. This intimate boutique hotel aims to make every traveller feel at home. Guests are pampered with such unexpected delights as their seven pillow menu and evening turndown service with a Charleston treat. 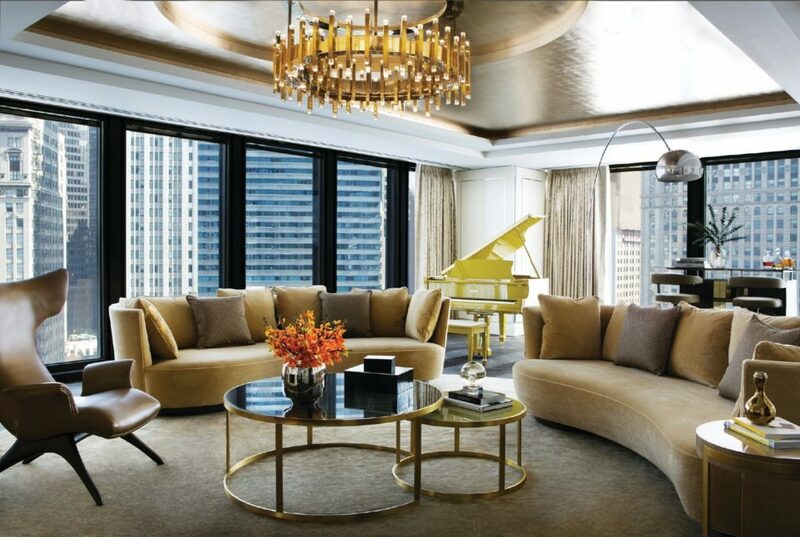 Just like last year, the number one 5-star hotel in the US is The Langham Chicago, Illinois. 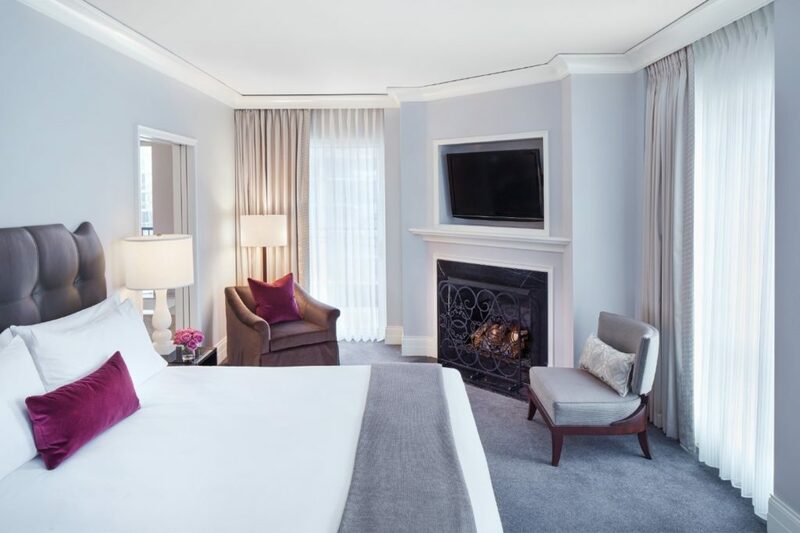 Known for their outstanding service, stunning interiors and unrivaled wellness retreat, The Langham Chicago excels at every aspect of a guest’s stay. City travellers will surely appreciate floor-to-ceiling windows which provide breath-taking views of the city skyline and Chicago River. 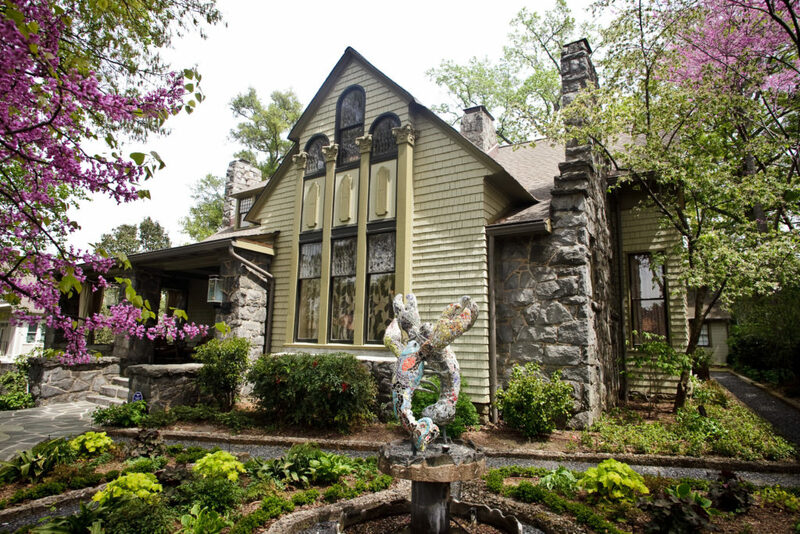 The number one best alternative accommodation in the US is Stonehurst Place in Atlanta, Georgia. Built in 1896 and steeped in history, Stonehurst Place offers a unique combination of impeccable preservation and modern amenities. Lavish sophistication is presented by beautiful mahogany furniture, gallery-quality art, marble bathrooms and cutting-edge technology. 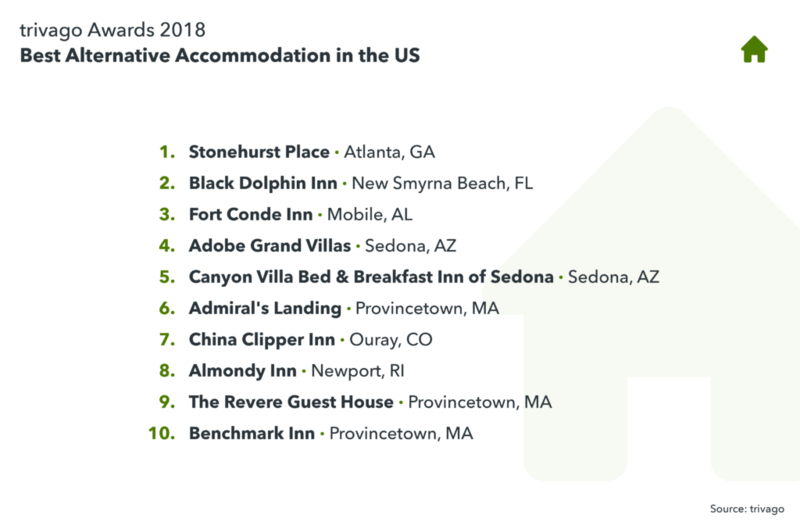 The hotel chains with the best collective ratings across the US this year are Waldorf Astoria, Choice US and Hilton US. The number one hotel of Waldorf Astoria in the US is Waldorf Astoria Chicago. Known for its Parisian-inspired elegance in downtown’s Gold Coast neighborhood, Waldorf Astoria Chicago boasts apartment-style rooms, sensational spa, and seasonal and artisanal cuisine. 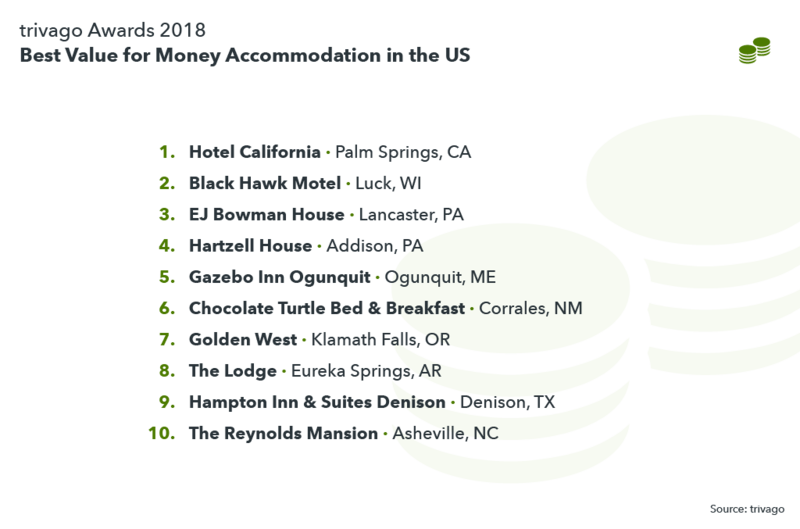 The top-rated hotel of the Choice US hotel chain is Comfort Suites Hartville. Opened just two years ago, Comfort Suites Hartville is known for its attentive staff service and cleanliness. 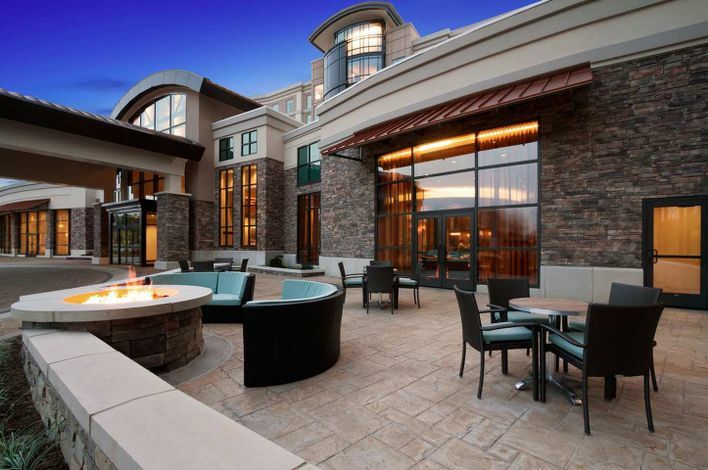 Finally, the number one hotel within the Hilton US is Embassy Suites by Hilton Springfield. 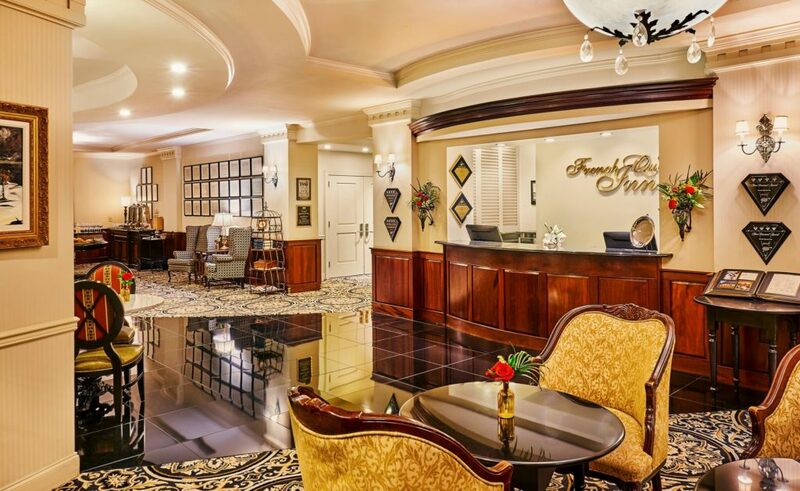 Located in the business district of Springfield, Embassy Suites by Hilton Springfield boasts proximity to many government and military agencies. 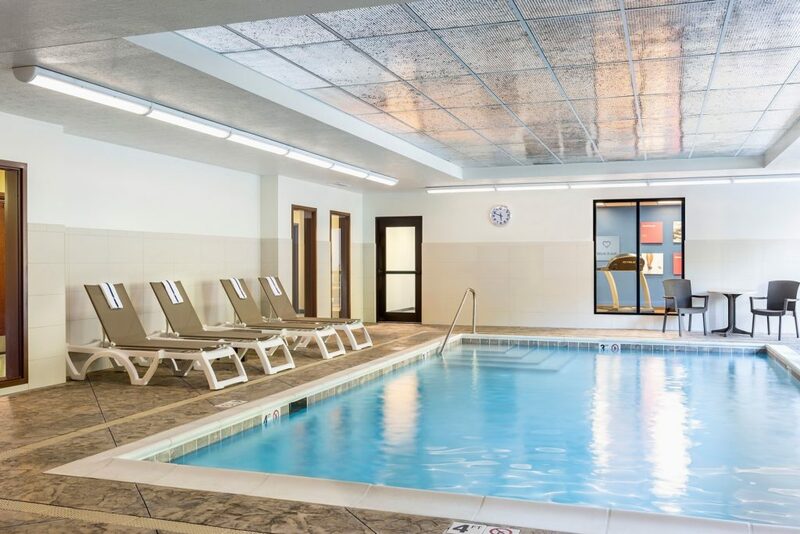 Among other amenities, the hotel offers a complimentary shuttle that runs daily to the local metro station, for easy access to Washington D.C.
Congratulations to all the winners of this year’s trivago Awards! It was a year of hard work and dedication, of attending to the little details, delivering on the promises, and going above and beyond whenever possible. But it paid off in the end. You provided exceptional experiences, and your guests took notice. 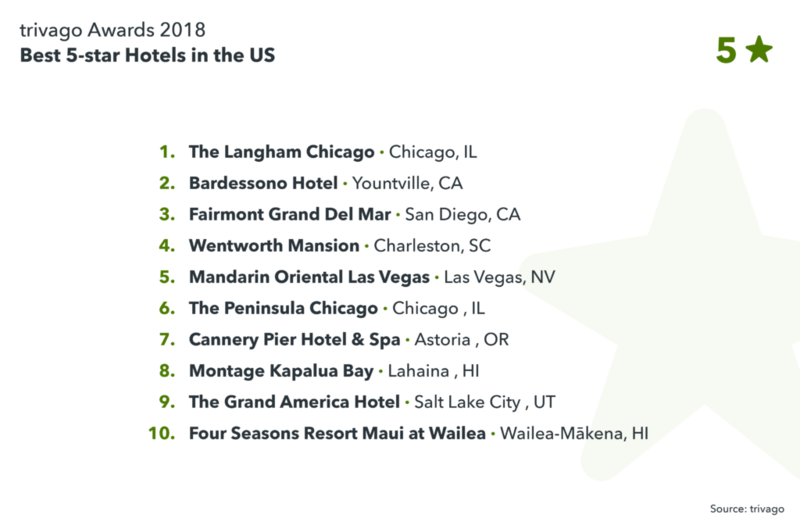 The result: A comprehensive list of the cream of the crop in hospitality, and prestige and recognition for the hardworking hoteliers behind the winning hotels. Check out the winning hotels in Canada here, and if you’re a traveller who wants to find more inspiring stories and details about these hotels, visit Room5.